Biotin, also known as vitamin H, is a part of the B complex group of vitamins and has had a confusing relationship with candida for years. Depending on which study you read, you’ll find that it either promotes the growth of fungal candida or inhibits it. If you do a general search on biotin and candida, you’ll come up with a long list of doctors and websites stating that biotin is beneficial in inhibiting the growth of fungal candida. If you stop there, you’ll run around with the same delusional perspective that most doctors have on biotin and candida. If you care to do the research, you’ll find studies that state the opposite effect where biotin is necessary for the growth of fungal candida. Let’s start with biotin being necessary for candida growth. In a 2016 study measuring the effect of water and fat-soluble vitamins on candida growth in parenteral nutrition formulas, “…the C. albicans increased rapidly in the PN solution supplemented with the SVs or biotin, but increased slowly with each of the other water-soluble vitamins.” Of course this doesn’t replicate internal conditions but it does show that candida can use biotin to fuel its fungal growth. This 2011 study shows that “Biotin is required by a variety of yeasts, fungi and bacteria, not only for growth but also for metabolite production.” It appears that biotin is necessary for many microbes, so biotin and candida is a natural relationship. In fact, candida produces biotin and the higher the availability of sugar, the greater the production of biotin. This biotin and candida link may have an association between fungal candida growth in diabetics. In 33+ years of treating patients with candida, one thing that is obvious in my clinical observation and in the 62,000 studies found on PubMed (the National Institute of Health’s Library of Medicine), is that candida is able to use many nutrients to grow and spread throughout the body, but you can’t try to starve candida as this is one of the triggers that causes candida to convert from its normal beneficial yeast form to its problematic fungal form. This is seen in some of the studies that state that biotin is beneficial for controlling candida as they observed that without biotin, candida converted to its fungal form and spread. Their interpretation was that providing candida with biotin controlled candida. It seems logical, but you have to consider that it has been shown that biotin fuels the growth of candida, as well. Obviously, there are other factors involved in the growth and spread of candida and trying to put that all down to the presence or absence of biotin doesn’t stand up to the science. in my experience, I have yet to see any impact of supplementing with biotin when trying to correct fungal candida to establish normal healthy levels of the yeast form of candida. Based on the studies referenced above, biotin supports candida growth. 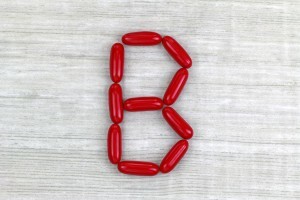 I have worked with many people who were taking biotin along with a long list of other ineffective supplements in their doctor-prescribed treatment regimen for candida. I immediately took them off of it and used the Candida Plan to achieve a successful result. A deficiency is rare, but if biotin is needed by the body, then supplementing with it is advisable. As far as candida is concerned, it’s not necessary with the Candida Plan. If someone recommends it to you for treating candida, you’re probably going to be better off going elsewhere and finding a candida specialist, not just someone who decided selling some pills was a good way to make some extra income. Dr. Jeffrey S. McCombs, DC, is founder of the McCombs Center for Health, the Candida Plan, the Candida Library, and author of Lifeforce, The Everything Candida Diet Book, and The Everything Guide to Autoimmune Diets. Check out our podcast, “The Candida Chronicles” on iTunes and SoundCloud.